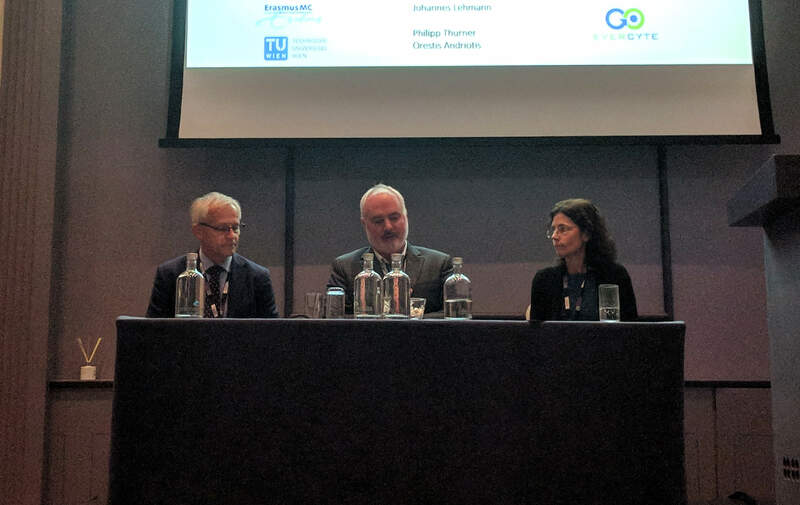 The 26th annual meeting of the European Orthopaedic Research Society in Galway, Ireland, brought together Europe’s leading experts in the field. Cluster members Heinz Redl and Sylvia Nürnberger took part as invited speakers. In the Cartilage session, which Sylvia chaired together with ICRS scientific director Frank Barry and ICRS secretary Tim Halding, presentations gave insights into cells, scaffolds and techniques for state of the art cartilage regeneration. Sylvia talked about cartilage as biomaterial for tissue engineering and presented solutions for its repopulation. Laser engraved holes and incisions provided cells with access to deeper regions of decellularized articular cartilage. Auricular cartilage can be enzymatically perforated to generate a network of channels for a most homogenous repopulation. Heinz presented exciting new findings on the application of human amniotic membrane in regenerative medicine in the session on Tissue Grafts & Decellularization.